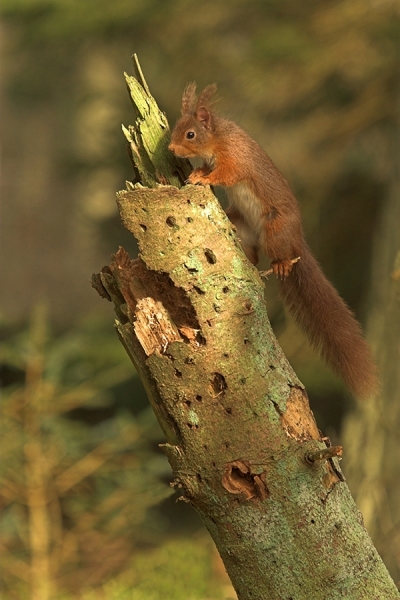 Home | Red Squirrels | Red Squirrel climbing old spruce stump. Red Squirrel climbing old spruce stump. Canon 20D camera,252mm lens,1/160 f7.1.